Legal Coordinator for a BPO client - Wisdom IT Services. 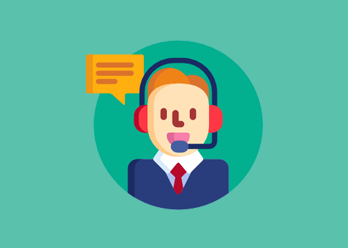 Client Profile: The client is a large player in the BPO industry with significant presence in all major Indian cities, and offers a range of services including customer management services, human resource outsourcing and knowledge services. The Project: a newly created role The Legal Coordinator role was created in order to increase the level of in-house expertise around the arbitration process as well as improving the client’s ability to flag and address potential legal issues well in advance. The search and the interview process Wisdom IT Services’ specialist recruitment consultants understood the importance of the new Legal Coordinator fitting in with the client’s culture. It was important that the shortlist of candidates encompassed a mix of specialist knowledge and experience. Therefore, we provided a face-to-face candidate screening service of all suitable candidates and presented a shortlist to the client. This was followed by two-stage interview process. As a result of our thorough research of the legal market, it was commented that any of the three candidates who attended the final interview could have been offered the job. Wisdom IT Services then assisted with the final selection process by managing the offer to the chosen candidate and providing feedback to all candidates who interviewed. The Results The client was able to create a new post and find the right candidate to fit into the role by leveraging our expertise to create the job specification, and to identify the skills, competencies and background that would be most suitable for the role.